Beauty Mineral Facial Cleansing Milk is rich in natural minerals from the Dead Sea. For thorough cleansing of the face, Cleansing Milk removes make up cleans the skin of oil excess and dirt. 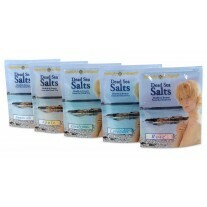 Leaves skin feeling totally refresh and smooth. 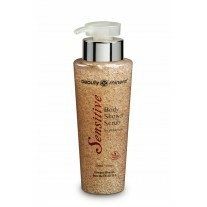 Beauty Mineral Facial Cleansing Milk is rich in natural minerals from the Dead Sea. Contains: Chamomile, Olive Oil, Beeswax, Vitamin E. For thorough cleansing of the face, Cleansing Milk removes make up cleans the skin of oil excess and dirt. Leaves skin feeling totally refresh and smooth. Suitable for all skin types. 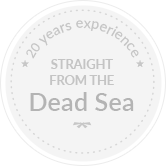 Direction: Apply a generous amount of Cleansing Milk to your face and neck. Massage gently and remove with the help of a cotton ball. To complete the cleansing process use Beauty Mineral Face Toner. For daily use. Jojoba oil helps promote healing of the skin in many ways. It has antimicrobial properties, which means it actually discourages the growth of some bacterial and fungal microbes that attack the skin. In addition, the chemical composition of jojoba closely resembles that of the skin’s natural sebum, so it is easily absorbed and rarely causes allergic reactions, even in the most sensitive individuals. Jojoba oil can prevent the skin from becoming too oily. Because the structure of jojoba oil so closely resembles natural sebum, it can actually trick the skin into producing less natural sebum, which, unlike jojoba, can clog pores. Jojoba oil may help treat acne, both by reducing sebum production and by protecting the skin from harmful bacteria. Jojoba oil contains many important nutrients, such as vitamin E, B complex vitamins, and the minerals silicon, chromium, copper, and zinc. It also contains a lot of iodine, which may be where jojoba gets its ability to fight against bacterial and fungal infection. In addition to acne, jojoba has traditionally been used to treat canker sores, cold sores, athlete’s foot, and warts. 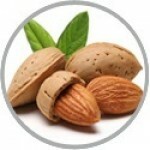 Almond oil is extracted from the dried kernels of sweet almonds. As sweet almond oil has many therapeutic and lubricating properties, it is widely used as an essential oil for skin care. It is one of the prominent carrier oils, or ingredients, in many beauty and cosmetic products. 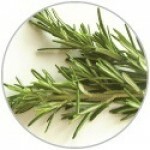 Its nourishing properties make it a valuable skin care ingredient. Being a rich source of vitamin E, use of sweet almond oil will reduce the number and delay the appearance of wrinkles and fine lines. It is best to apply the oil at night, after thoroughly cleaning the face and neck. Almond oil contains natural antimicrobial properties, which help prevent the spread and growth of bacterial infections responsible for acne, wounds or other skin infections. It will also help reduce and lighten dark spots and other facial scars. Its emollient property will rejuvenate and tighten the skin. It also heals sunburn and helps to even out the skin tone. Traditionally, rose hips are valued for their scent and flavor, which is somewhat similar in taste to cranberries. 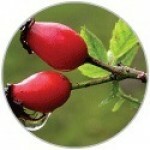 Rosehip liquid extract is made by slow-simmering the hips in water to yield a concentrate. Rosehips contain high levels of vitamin C. However, some rosehip preparations, including liquid extracts, may vary considerably in their vitamin C content depending on how they are processed. Other nutrients found in rosehips include vitamins D, E and K, as well as several B vitamins.